Music for Health’s amazing workshops are designed exclusively for people in residential care. We provide the most comprehensive and effective workshops available in Britain today. Music for Health workshops are the result of over 10 years research into how sound and frequency can benefit health. For many years our workshops have been helping a huge number of residents throughout the country find renewed strength and happiness. Music for Health workshops are designed to be holistic. Music for Health workshops benefit all residents, regardless of the label that they have been given in life. They are fun, stimulating and extremely varied – Providing something for everyone. The music is changed from workshop to workshop keeping the attraction fresh. Just a few of the ways that residents benefit from our method. The overall vibrational frequency of all the music used by us, for each and every workshop, is perfectly balanced. This effect has been achieved through years of research, and is the fundamental requirement that enables all residents to benefit from Music for Health workshops, regardless of their individual problems. Accessing memory strengths and drawing on them. Creating a greater sense of comradeship. Re-establishing a love of music. ‘Out of House’ substantiation of each resident’s value as an individual. With every workshop we do, the effects become cumulative. The mind/body connection, the muscle memory etc. are all stimulated into positive action. workshops, (at least one a month – every other week for EMI homes – is recommended) are done, the effect should start to filter into the residents’ general lives. Obviously this makes for a much happier life for both the residents and staff. Over the years, we have found that many residents relatives make a point of looking out for Music for Health workshop dates, to put them in their diaries. They are then able to join in the workshops along side their relative, which is beneficial for everyone involved. (The residents often amaze their relatives, usually in the nicest possible way!!). Many of our homes book right through the year. We can give a flyer with all the dates listed, so that relatives and inspectors can see at a glance that you are providing the best help available for your residents. 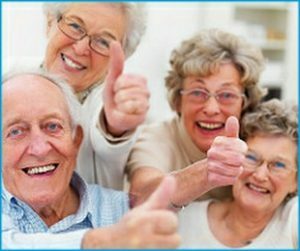 We know that there is a tremendous amount of work involved in running a residential home, and we realise that time is of the essence. However, the feedback we get from many of the homes having our workshops is invaluable. Only people who see the residents everyday, are truly able to see the cumulative effect that Music for Health workshops have.